These constraints seem laughable in the face of what we already know about the CIA’s torture program–and what we know is surely only the tip of the iceberg. The CIA’s entire menu of torture tactics was designed by psychologists Bruce Jessen and James Mitchell. 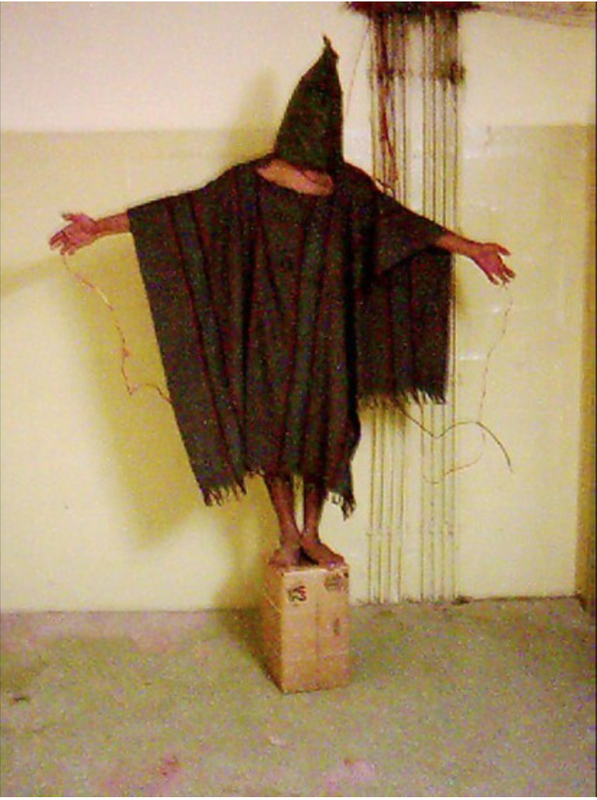 Interrogations in the CIA’s black sites were overseen by medical professionals from the agency’s Office of Medical Services–who documented the violent interrogations and offered advice on how to improve them, advising on such details as “acceptable lower ambient temperatures” and how to keep detainees from choking on their own vomit during waterboarding sessions (pro tip: feed them Ensure). BUT IT’S worth asking why the agency has such guidelines in the first place. The CIA has a long history of human experimentation, going back to the first years of its existence, much of it centered around torture. As part of the MK-Ultra program half a century ago, the CIA both funded academic research and conducted its own experiments on ways to control the human psyche. This included the “brainwashing” experiments of Dr. Ewan Cameron in the 1950s and ’60s, which are described vividly in the opening chapter of Naomi Klein’s The Shock Doctrine. Cameron’s experiments involved subjecting institutionalized mental patients to repeated electric shocks, extreme sensory deprivation and sensory overload, sleep and temporal manipulation. They often reduced his patients to an infantile state and left deep psychological scars. The agency used the research to build up its library of “clean” torture techniques, which were psychologically and often physically destructive, but left no marks. As part of MK-Ultra, the CIA also conduced numerous experiments with LSD and other powerful drugs. Some of the test subjects were willing volunteers, including the agnecy’s own employees. But others were suspected Soviet double agents held in a secret CIA prison in the Panama Canal Zone–the agency’s first black site, opened in the late 1940s. During the Vietnam War, the CIA continued its “brainwashing” experiments on Vietnamese prisoners of war, including sending two agents to a Vietnamese prison to test out the effects of Ewen Cameron’s electroshock machine in the field. The agency’s worst abuses were exposed at the close the Vietnam War. In the mid-1970s, the Church Commission–a congressional committee that was the precursor to today’s Senate Select Intelligence Committee–exposed massive CIA covert operations, assassination plots, horrific torture in Vietnam and extensive spying by the CIA inside the U.S. against U.S. citizens, something that was supposed to be outside the bounds of its mandate as an organization. The revelations of the Church Commission led to some formal restrictions on the power of the CIA and other intelligence agencies, including Executive Order 12333, which these current CIA documents claim to be following. But the process following the Church Committee’s findings showed a pattern that should by now be distressingly familiar. The new restrictions didn’t stop the CIA from committing or colluding with massive human rights abuses in Latin America in the 1980s, for example. IN THE case of the “war on terror,” the agency’s own regulations should have prevented it from creating its detention, rendition and interrogation program at all. But it’s clear that the paper regulations proved meaningless in the face of what Bush administration politicians and agency officials thought were the political imperatives of the worldwide “war on terror.” Just weeks after the September 11 attacks, they had decided they wanted to torture, and they built the legal rationale to do it. They argued that under this exceedingly narrow definition, a whole range of “enhanced interrogation techniques” weren’t torture, and were therefore permissible. They also argued that prisoners captured as part of the war on terror were not legally prisoners of war, and therefore not subject to the Geneva Conventions standards of minimum humane treatment and freedom from indefinite detention without trial. While the Torture Memos were being written, CIA officers were already torturing at black sites in Afghanistan–even though their actions had just been arbitrarily legally defined as not-torture. And torture involves human experimentation by definition. As much as torturers may wish their work were an exact science–where the exact right combination of techniques would always yield timely, perfectly accurate intelligence–human beings don’t really work that way. Torture is a craft that always gets refined through practical application and improvisation. Assuming that you have actually captured a prisoner who had intelligence to give–an assumption that was not true for a huge number of the CIA’s detainees–extracting it through torture is much harder than Jack Bauer makes it look on 24. But rather than admit torture is not the foolproof, fast-acting weapon that television makes it look like, torturers are much more likely to believe that if they haven’t gotten the information they need, it’s because they simply aren’t torturing violently or creatively enough. The latest cache of documents reveals a fundamental truth about the working of U.S. imperialism–that legislative or regulatory efforts to restrain its barbarity are never going to be effective in the long run. An agency’s power can be temporarily curtailed, but it always resurfaces when the U.S. state has a need for it. After the release of the Torture Report, new efforts may be made to rein in these institutions. But there’s only one way to permanently stop them from torturing and killing–and that’s to dismantle U.S. imperialism.